One of the big themes in the history of gaming has been the pursuit of photorealism, and it’s only in the last few years that hardware has become powerful enough that we can produce titles that look more like movies than games traditionally could. For sure, photorealism isn’t the only way to build a game—a photorealistic Peggle Blast would be a bit grim, and it’s hard to imagine a Jeff Minter game that wasn’t a crazed neon din—but it’s certainly true that some developers have been trying to make their first-person shooters, racers, and more look as completely believable as possible. In other words, a photo on the box could pretty much match up with what the game itself would look like once you slipped the disc into your console or your Mac. ’Twas decidedly not always thus. 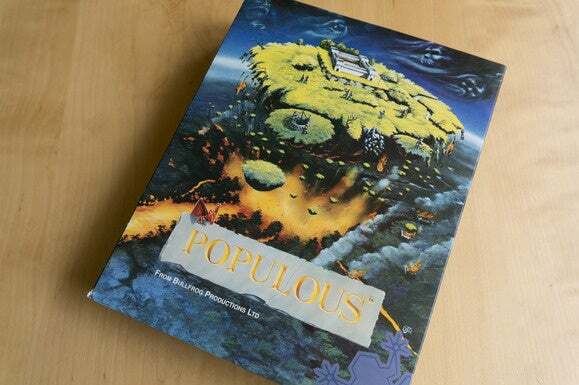 Here’s a close-up of the front of the box for Populous, a game created by quixotic industry legend Peter Molyneux in 1989, originally for the Amiga. 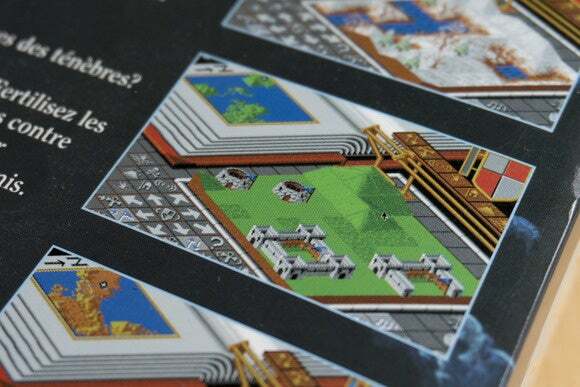 But look on the back of the box and you see from the screenshots what the game actually looked like. Now, I’m not for a moment suggesting that that doesn’t look awesome in its own way. I’m someone who’s just installed Windows onto my Mac mini with the sole objective of playing a cheap copy of Warcraft II picked up on eBay, and I love its bitmap aesthetic as much as I enjoy the game itself. That’s even before we get to the business of these early games having severe technical restraints imposed on them by the contemporary hardware. 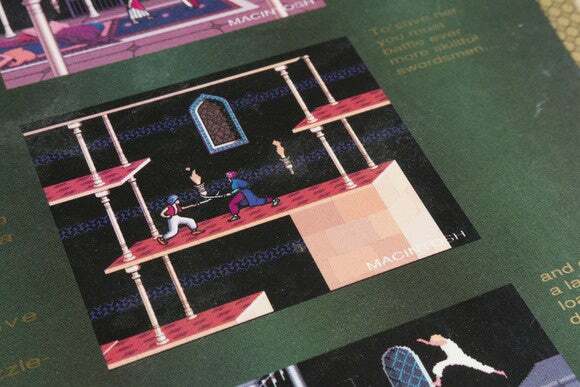 Still, there’s no doubting that the glorious painted illustration on the cover bears only a conceptual relationship to what the game inside looks like. 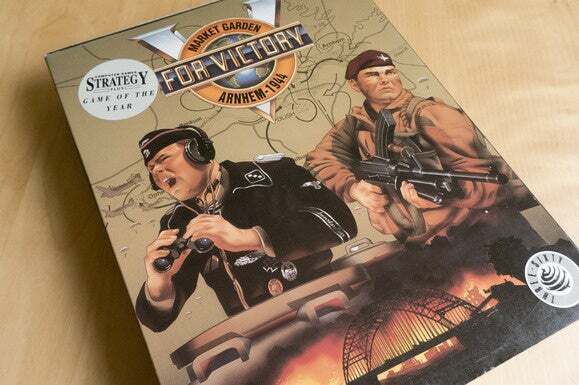 Here’s another, for the strategy game V for Victory. 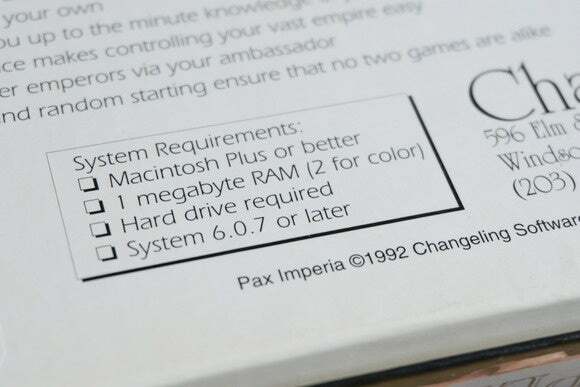 I love this, as well, from the back of the box for “The Galactic Empire Simulator” Pax Imperia. 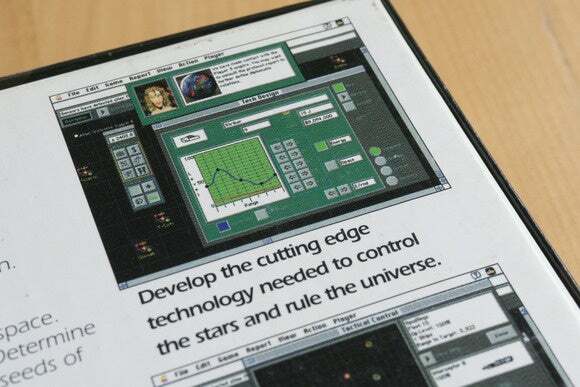 Yup, that sure looks like cutting edge technology right there. (Yes, I know it did look like cutting edge technology at the time, but it still makes me giggle a little bit!) There’s a terrific little detail elsewhere on that box , which reminds us not only that RAM requirements have changed a lot over the years but also that there was a time when it wasn’t a given that games ran in color. 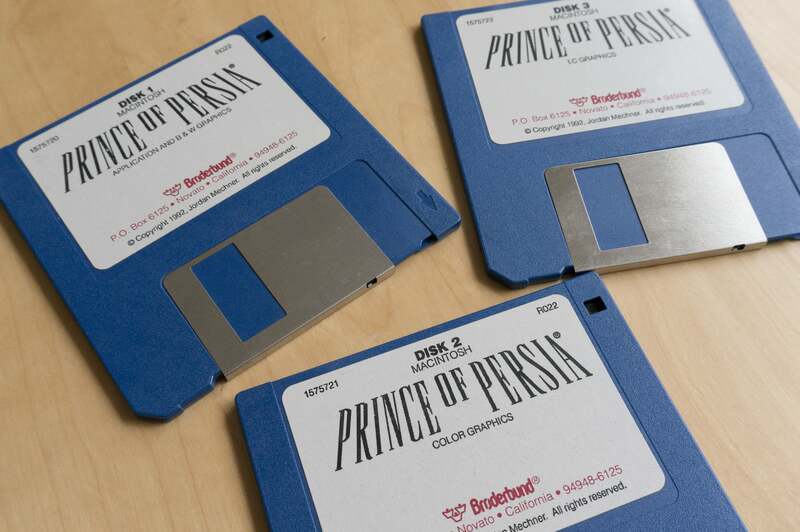 Indeed, here are the install disks for Prince of Persia, and you’ll see that one is for the game and black-and-white graphics, one for color graphics, and one specially for Apple’s LC range of Macs. Ah, Prince of Persia. 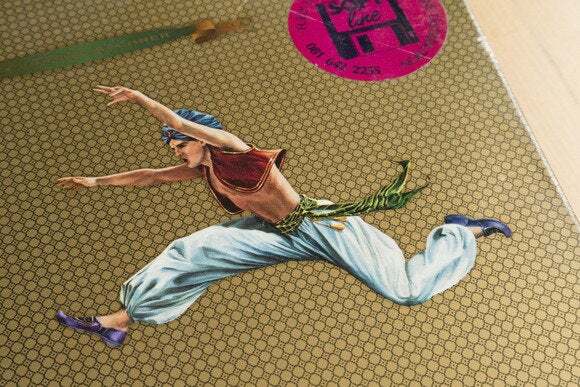 The box it came in is especially glorious, not just for the unusual shape of the carton itself, but for that stunning, stunning metallic, patterned ground with the painted character jumping across it. …but like this is the game. Famously, of course, the character was animated using rotoscoping, directly tracing over film of its creator’s brother doing the moves—a kind of ancestor of the motion-capture techniques the actor Andy Serkis is known for these days. 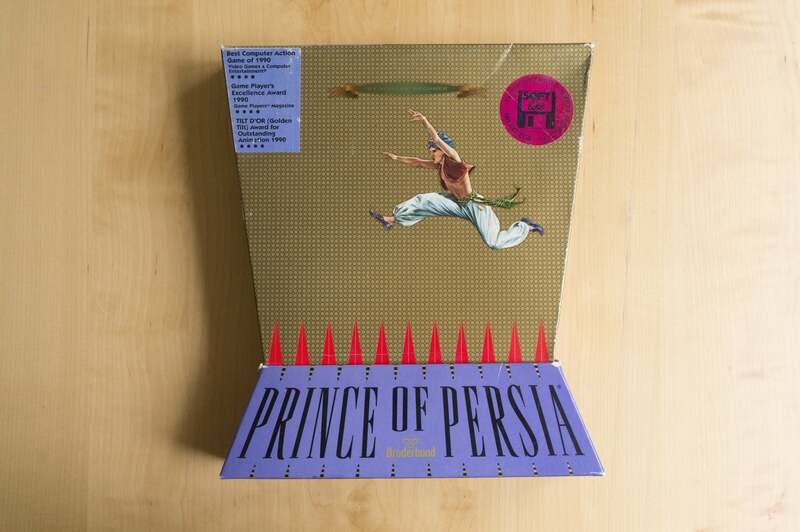 So while the fixed, flat perspective of the platforms in Prince of Persia looked completely artificial, there was a fluidity and immediacy to the character’s animation that meant the mental leap from the painted character on the box to the character you played on screen wasn’t especially dramatic. Unlike the leaps you performed with the character. And ultimately, of course, what does it matter? 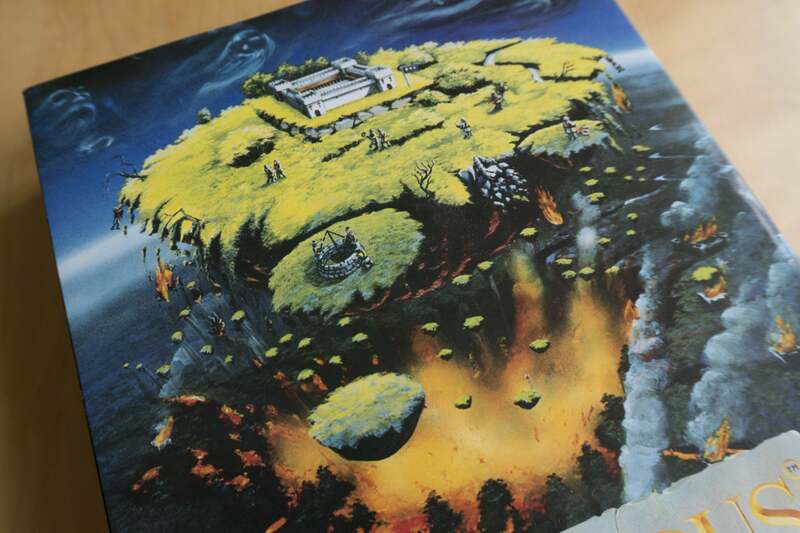 At the time when these games were released, nobody expected photorealistic games, and in any case—as Panic did with its Atari 2600-inspired interpretations of its software—we can love this artwork on its own merits. 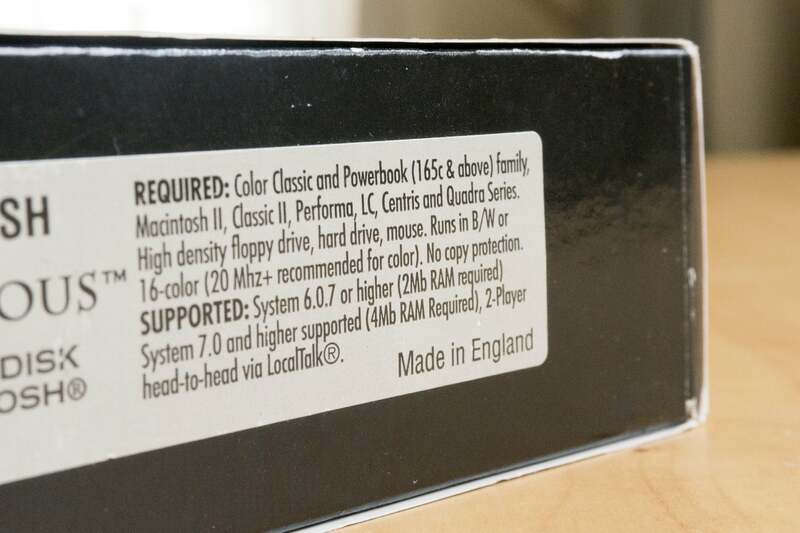 Certainly that’s one of the reasons I have these boxes; I think they’re beautiful. 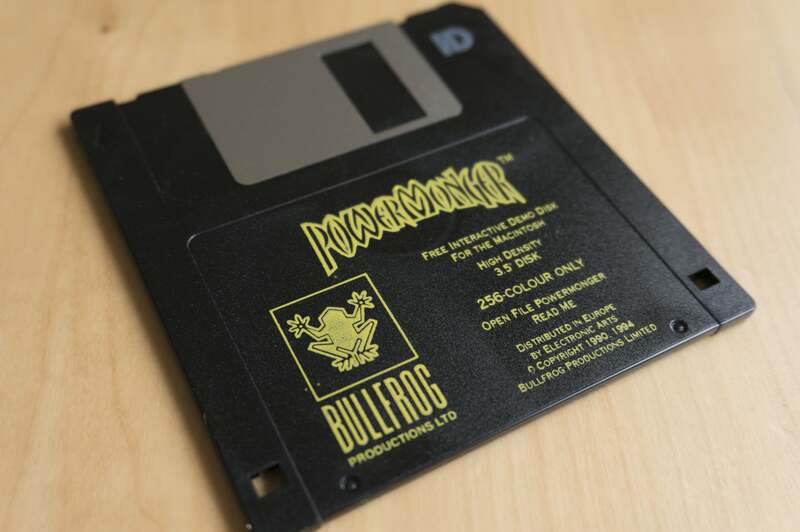 Besides, even for those few games these days that still come in boxes, it’s not a given that the cover shows something that’s directly related to the game graphics. They show icons, they show evocative, atmospheric paintings, they show stylized artwork. 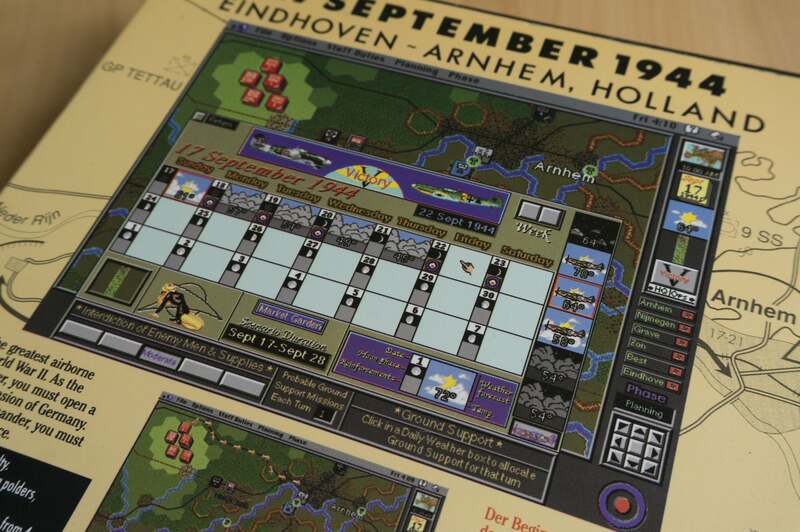 They’re as much about creating a feeling and excitement as the retro boxes I’ve shown you here, and while our expectations of the standard of the graphics in the game itself might have changed over the years, that sense of anticipation and delight hasn’t. Here, have a few bonus photos. 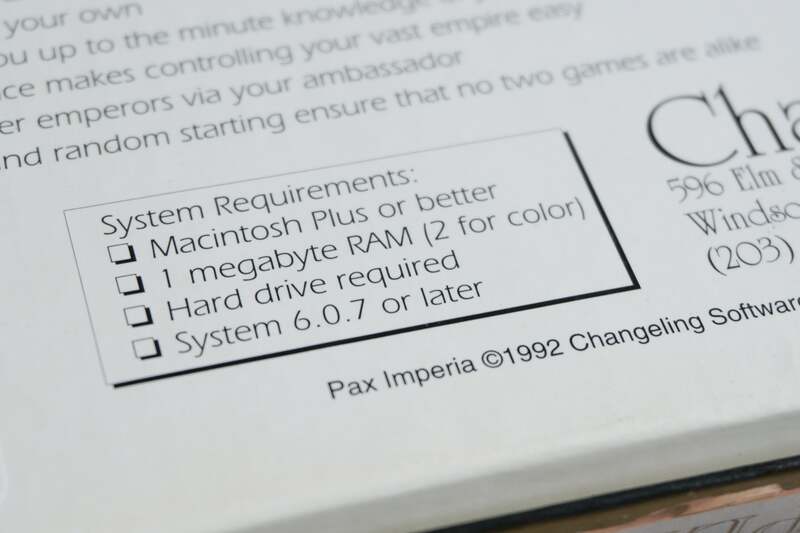 First, you have to chuckle at the “No copy protection” line from the bottom of the Populous box—things done change, man. 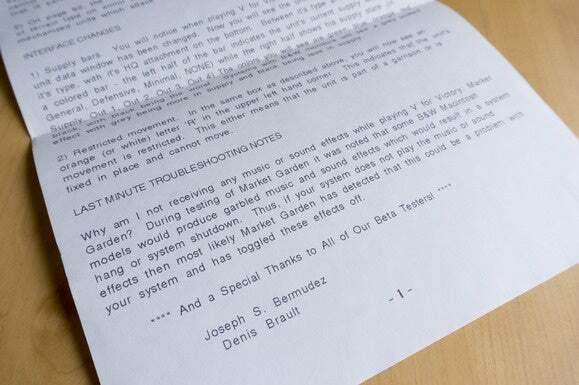 And from inside the same box, I love that this is how demos of other games were distributed. Finally, a reminder that while it’s easy to push out patches to squash bugs these days, there was a bigger overhead even in just making people aware of bugs back in the day.